treats others that matters most. 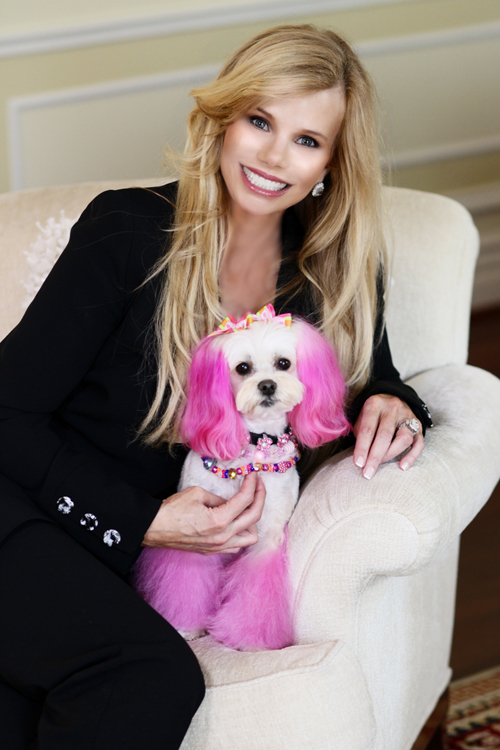 Stacey Whitmore is the owner and brand creator of Princess of Beverly Hills™, the “90210 Dog™.” Her beloved maltipoo is a viral sensation on Twitter, with nearly half a million fans drawn to the dog’s pink ears and tail, and adorable accessories. Princess of Beverly Hills™ strikes a chord with a new generation of fashion-forward girls who are attracted to the fantasy, look and lifestyle that Princess of Beverly Hills™ portrays. Since you can’t take home the real pup, Stacey Whitmore has partnered with DEMDACO to produce, market and distribute Princess of Beverly Hills™ merchandise which includes plush toys, key chains, backpack clips, slippers, scarves, ear muffs, animated plush toys, and gift items, including frames, mugs, magnets, key chains, trinket boxes, and room decor. Princess of Beverly Hills™ merchandise will be sold worldwide in 2015.